If you are in need of a new fence for your Amherst, NY home, you have come to the right place. Here at The Vinyl Outlet, we are a full-service custom fencing company offering our fencing contractor services to our clients in Amherst and throughout Western New York. Whether your old fence is falling apart or you simply want a new look for your yard, our fencing company can help. Our fencing contractors will work with you to design the perfect vinyl fencing to suit your needs and preferences. We make each fence to order, so you will get exactly what you need without having to pay for any excess materials. We work hard to ensure you complete satisfaction and will not start the installation of your new fence until you have approved the design. We will work closely with you to craft the fence to your exact specifications. Vinyl is rapidly becoming more popular that traditional timber for fencing, and it is easy to see why. Whereas wood is susceptible to rot and insect damage, vinyl is impervious. With timber, you have to engage in constant maintenance to keep it looking great, but with vinyl, there is little to no maintenance. You can clean it simply with mild soap and water. Vinyl cannot be damaged by water, so you'll never have to worry about damage to your fencing if the weather is rainy or humid. We would love to help you design a new fence for your Amherst home. 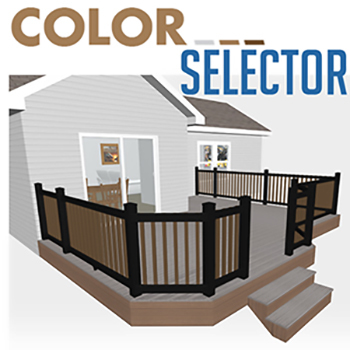 We have three color options to choose from, and you can even mix and match them for a two-tone look that adds a bit of extra drama to your fencing. The choice is up to you. Call us today to learn more about our fencing company and how we can craft a fence that completely transforms the look of your home. You can reach us at 716-675-0800 or through our online contact form. Get in touch with us today to get the process started!